Bad Ischl is a charming Alpine spa town close to the Dachstein West ski area in the Salzkammergut area of the Austrian Alps. The Dachstein West ski area covers the three main linked resorts of Annaberg, Gosau and Russbach and also includes the smaller resorts of Feuerkogel, Loser, Karkogel, St. Martin, Lungotz and Dachstein Krippenstein for a total of 142km of runs from 700m to 2100m. 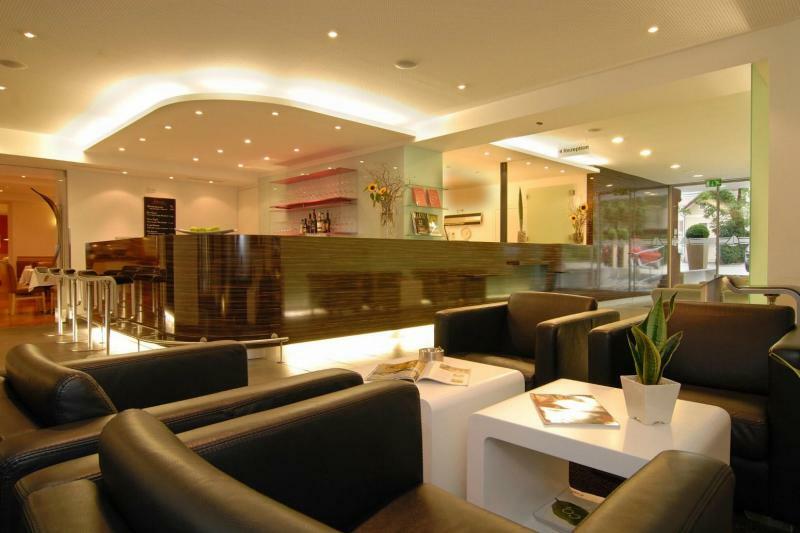 Salzburg airport is only 1 hour from the resorts which makes the area ideal for a short ski holiday. The predominately red slopes mean the area is a paradise for intermediate skiers, with lots of wide red slopes and some gentle wave runs. Beginners are nonetheless able to progress to some of the easier slopes on the mountain, while the practice slopes are lower down in the valley. More advanced skiers will enjoy the fun slopes throughout the ski area, including mogul fields, slopes with wave runs and a timed run, while snowboarders and freestyle skiers will love the huge snowpark which offers jumps, kickers and rails for all levels. 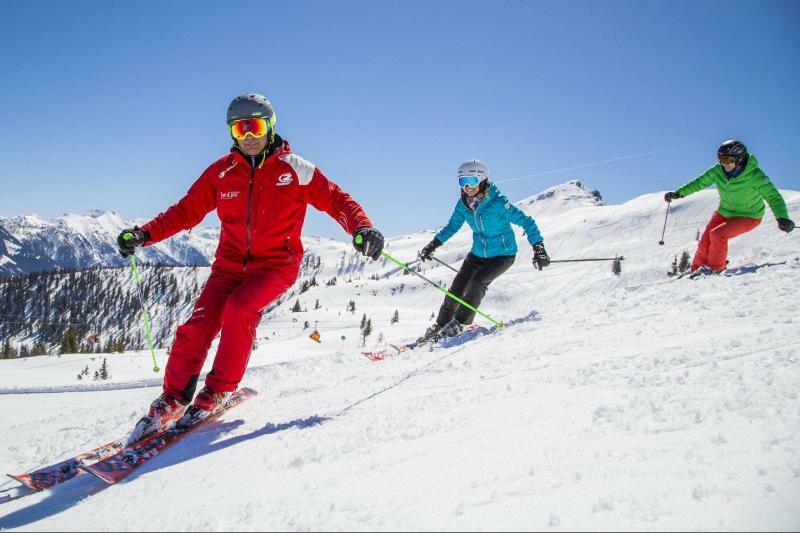 Children are well catered for too, with kids clubs for younger children who are not ready to ski and some fun ski areas for those who are just starting out, this is a great place for them to learn. The area also offers extensive cross country skiing and night skiing. There are free shuttle buses from Bad Ischl to Gosau and Obertraun, both around 30 mins away. There are some fun umbrella bars dotted around the slopes of the main ski areas and by the main lifts when heading down on your last run. 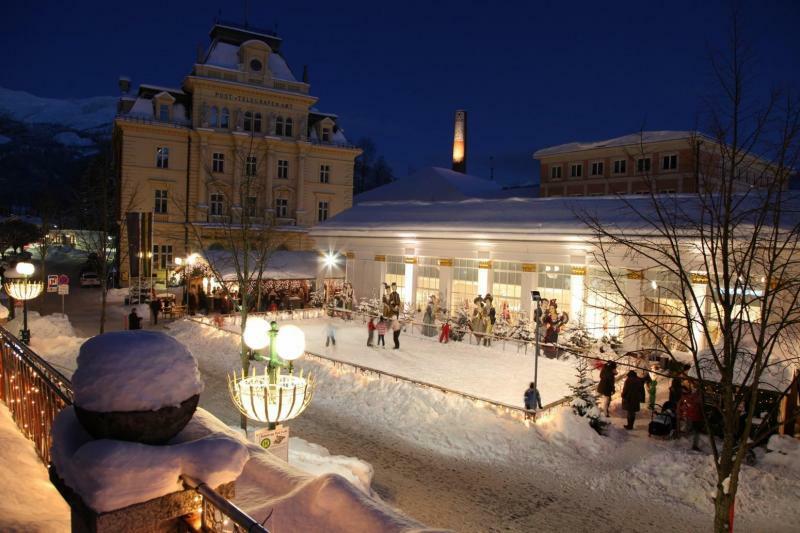 Bad Ischl itself is a fashionable spa town with chic shops, restaurants, bars and cafes, including the famous Konditorei Zauner, the oldest pastry shop / coffee house in Austria. 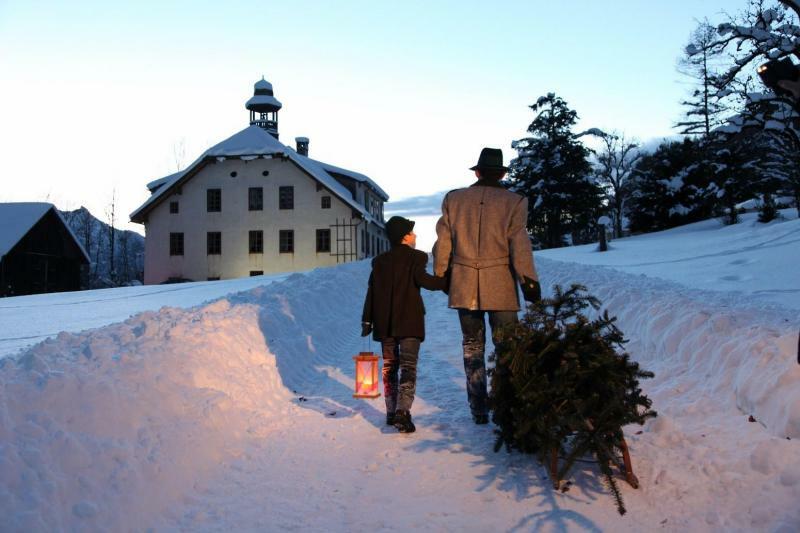 In terms of nightlife it is rather quiet but there are some historic places to visit including the Kaiservilla and the Stadtmuseum, and of course the Salzkammergut Thermal Spa. 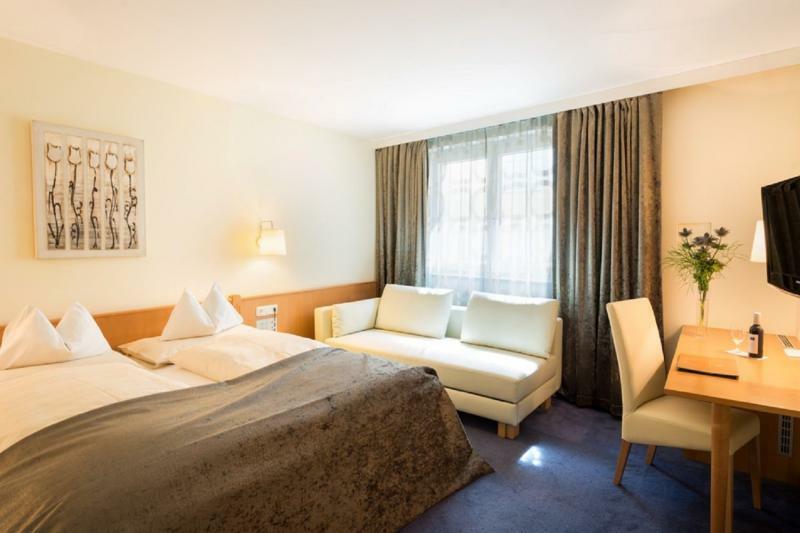 This elegant 4 star hotel in the centre of the charming town of Bad Ischl offers a great base to explore the Salzkammergut region. The hotel offers free parking (subject to availability) and there is a ski bus not far from the hotel to the Gosau and Obertraun ski areas (both around 30 mins away), part of the Dachstein West ski area. The comfortably furnished, modern rooms offer private bathroom with shower, hairdryer, HD-TV, safe, minibar and free WiFi access. A buffet breakfast is included, while the hotel also offers an excellent a la carte restaurant if you don't want to go out in the evening. The hotel spa offers a sauna, marble steam room and relaxation area, massages are available on request, to be paid separately. 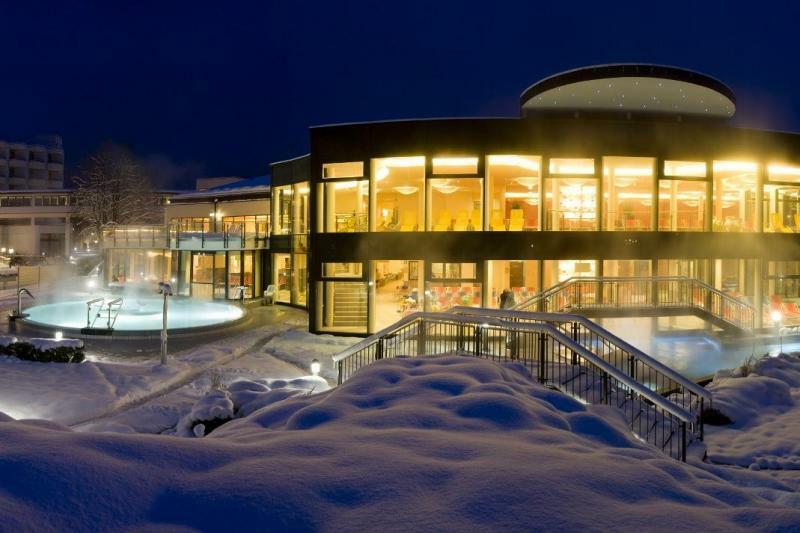 The Salzkammergut Thermal Spa is close to the hotel. From Salzburg ake the A1 motorway, exit at 274-Thalgau, follow signs to the B158, then take this road until you see signs to Bad Ischl. Take the bus from Salzburg airport to the city centre (15 mins), from there change and get a bus to Bad Ischl bus station (1 hour 20 mins).